Peppa Pig and pals are back in London's West End with a new camping adventure. 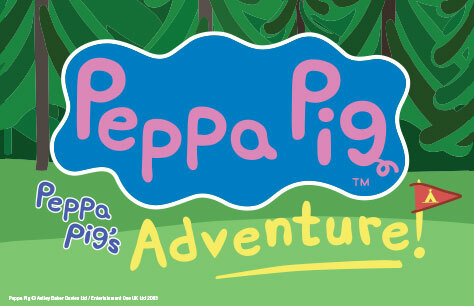 Peppa Pig, George and their friends are back in the brand new live show Peppa Pig’s Adventure! Babies, 0 - 18 months of age, at the date of the performance (not at the date of booking) are admitted free of charge if they are sitting on an adult's lap. If a seat is required for a baby a ticket must be bought, and all children from 18 months upwards must have a ticket. No minimum age though disruptive children may need to be removed. 18 months and over must have a paid ticket. Under that age should get a baby comp from the box office on arrival. Overall it was a good show but I did expect the characters to be live (as in human with costumes on) as daddy pig .